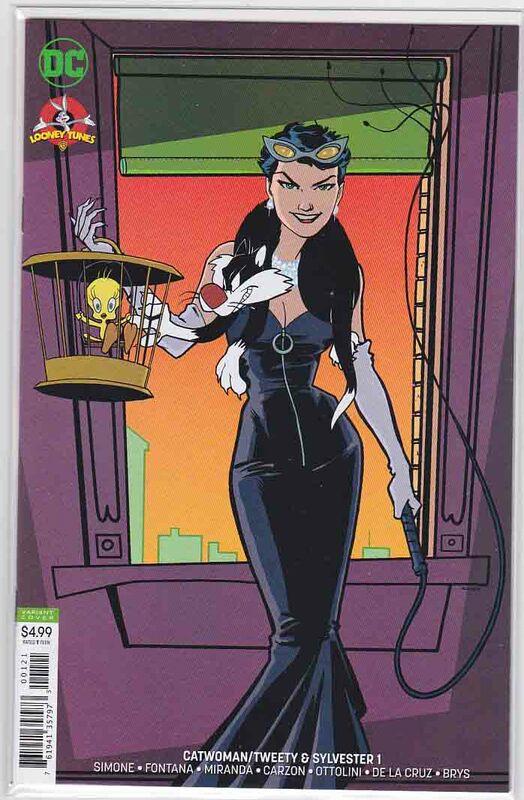 Catwoman Tweety & Sylvester Special #1 (2018) Emanuela Lupacchino Cover & Walter Carzon & Inaki Miranda Pencils, Shea Fontana & Gail Simone Story In his relentless pursuit of Tweety, Sylvester suddenly finds himself with a new, human ally-Catwoman. Tweety then realizes that he's going to need some help too, and recruits a super-hero of his own. It isn't long before the scale of the conflict begins to get out of control and suddenly theres's a full scale war between cats and birds that threatens to take over all of Gotham. 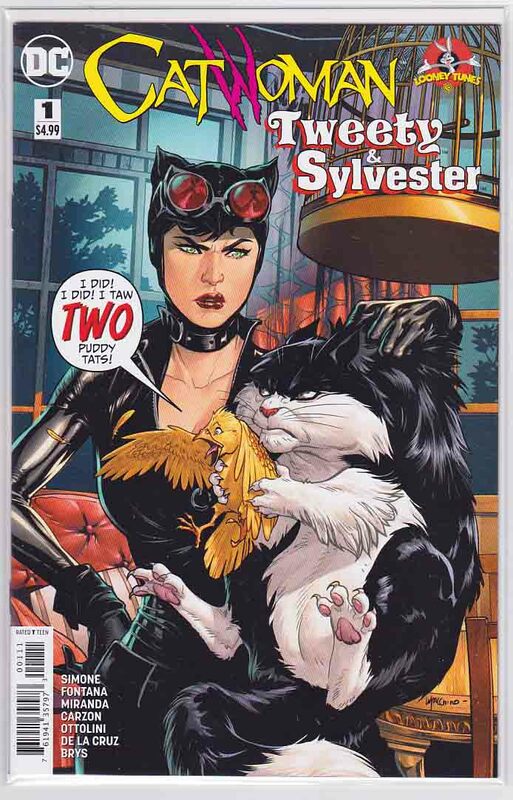 Catwoman Tweety & Sylvester Special #1 (2018) Variant Sandy Jarrell Cover & Walter Carzon & Inaki Miranda Pencils, Shea Fontana & Gail Simone Story In his relentless pursuit of Tweety, Sylvester suddenly finds himself with a new, human ally-Catwoman. Tweety then realizes that he's going to need some help too, and recruits a super-hero of his own. It isn't long before the scale of the conflict begins to get out of control and suddenly theres's a full scale war between cats and birds that threatens to take over all of Gotham.